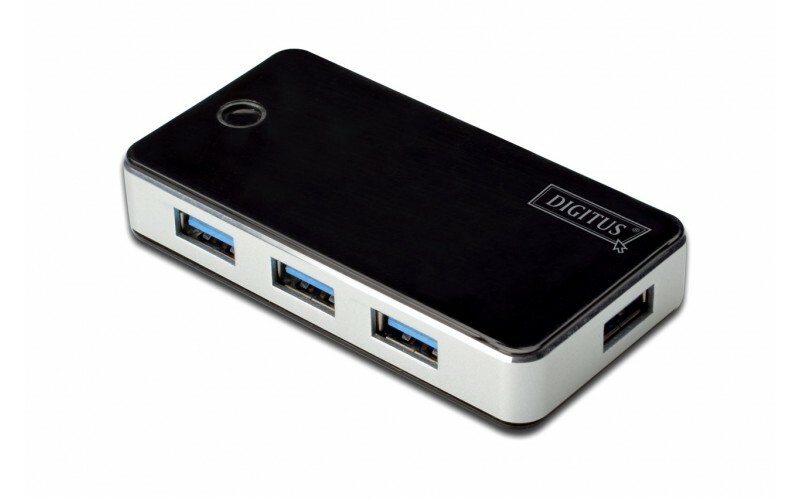 DIGITUS USB 3.0, 4-ports HUB black, 4xUSB A/F,1xUSB A/F, Cable AM-AM 1.2M incl. Power Supply 5V 3.5A. 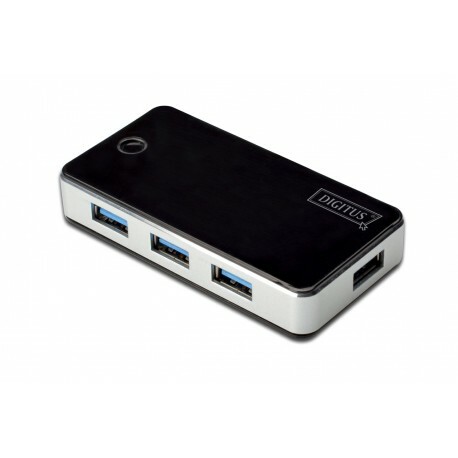 The DIGITUS USB 3.0 4-Port hub makes it simple to connect up to 4 USB devices at the same time to a PC or Mac. Plug in your favorite USB devices and profit from the very fast connection (up to 10 times faster than USB 2.0). This product has a clear and elegant design with a piano-black finish on the top and bottom surface, as well as an aluminium edge. - QIG (Quick Installation Guide). 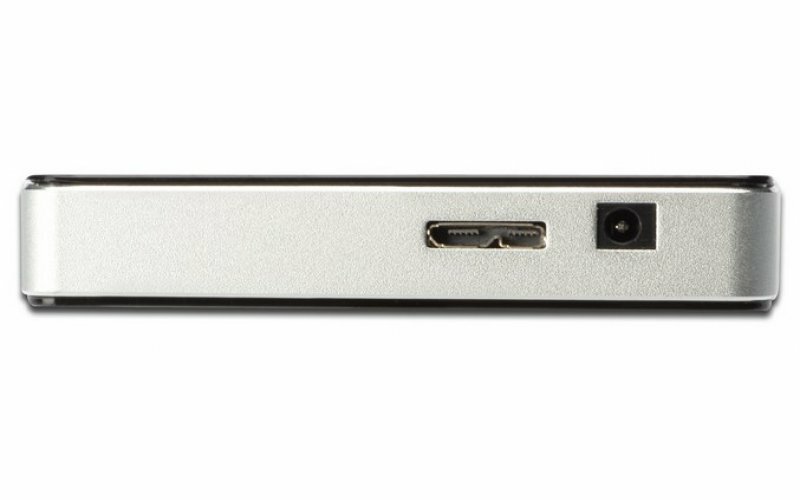 - USB 3.0 connection cable. - Power supply 5V DC 3.5A.